and, my all time favorite? - something put away or hidden: a stash of gold coins buried in the garden. - a place in which something is stored secretly; hiding place; cache. - (slang) a supply of hidden drugs. Sound familiar my knitterly friends out there? Secret, hidden, drugs? Heheheh... seems to describe STASH to a T! Sweet Georgia, MadTosh, Sweatermaker, Indigo Moon, pretty much any hand-dyed indie yarn I could die for! Cascade, Berroco, Drops, commercial yarns that I looooove to use! I always say to myself, "yarn never goes bad," especially if you keep it in ziplock bags like I do (a residual habit from when we moved). But sooner or later, as the STASH builds up and inevitably outgrows your storage, one starts to wonder if maybe things have gotten a little out of hand. 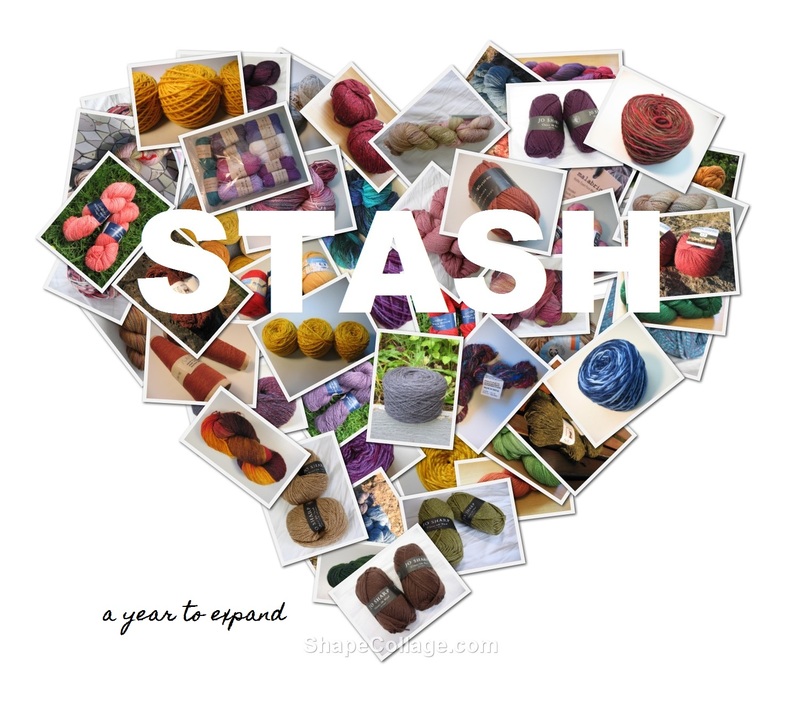 Like many of my knitting friends, I have accumulated quite the stash, and it's always tempting to buy more, especially when you have visions of new projects dancing in your head and your LYS is having a sale. But, with all the wonderful yarn in my STASH, buying more can leave you feeling a little guilty and I've come to wonder if I might be better off simply buying yarn ONLY when I need it (and by "need" I mean actually need... like I'm about to start a project right then and there, because let's be honest here, "need" can be a slightly subjective term). So, here is the challenge I am giving myself, call it a resolution if you will. My aim this year is knit primarily from my STASH, and to not buy ANY yarn (I cannot believe I'm saying this) unless it is absolutely necessary for a project that I'm going to start right then and there. I have some really GREAT yarn in my STASH that keeps being put aside for the newest flame. To help me out, I have given myself the goal of pairing the great yarn I have with the equally wonderful patterns I've been hoarding. And, because I think goals should be measurable (I think this one is), and should have a time frame, I am giving myself until the end of January to pair these fibres with their pattern destinies!